Bob and Anne Payne have been breeding Texels since 1982 and have been committed to breed improvement programmes with Signet for 20 years. Our main aim is to produce quality shearling rams and ram lambs, with good conformation, good growth rates and muscle depth, which will be capable of siring prime lambs for the commercial sheep farmer who needs to command a premium on price. 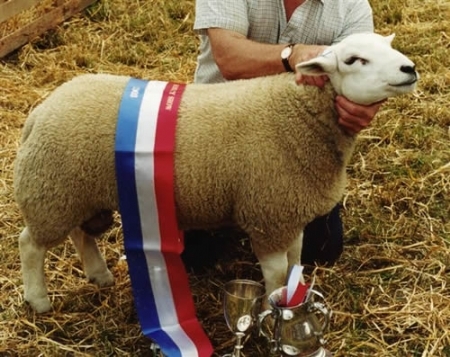 In 2007, Foot and Mouth prevented many sales from taking place, but for anyone interested in buying from us, once selected, we agreed to keep the ram for them till movement restrictions were lifted. The following tables give information about each individual shearling ram which was sold last year.